Southwestern style is easy to recognize: its earth tones, cacti prints, and rugged textures have long brought the stark beauty of the desert into the sheltered comforts of home. But these days, this classic look has gained a modern edge by intermingling with the likes of on-trend textures and finishes — like weaved accessories and gold hardware — that make it feel fresh once again. 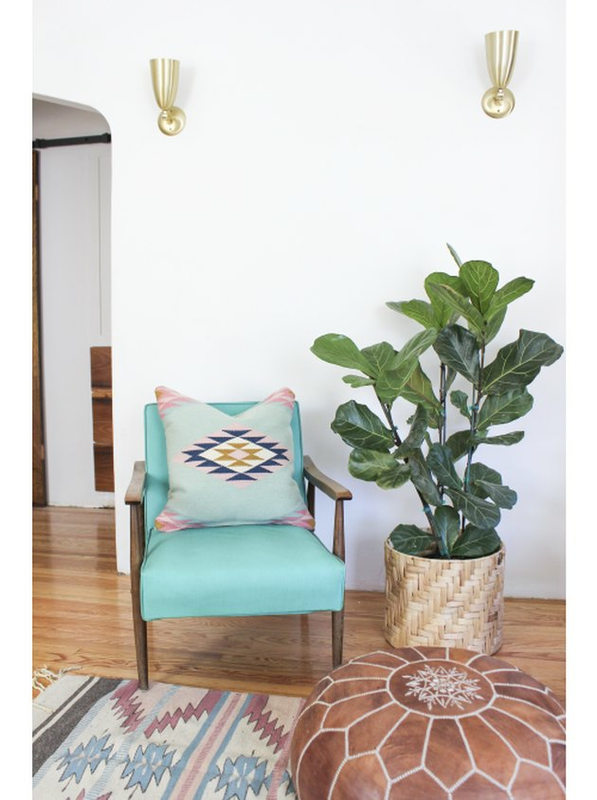 But as often as you've probably seen southwestern-inspired decor lately, you've also probably questioned your ability to do it yourself. That's why we've gathered 16 items that'll help you pull this off with confidence. From a distressed leather sofa and a sunset-hued pillow, to a gilded skull and a wooden planter, here's a collection that will get you headed in the right direction. 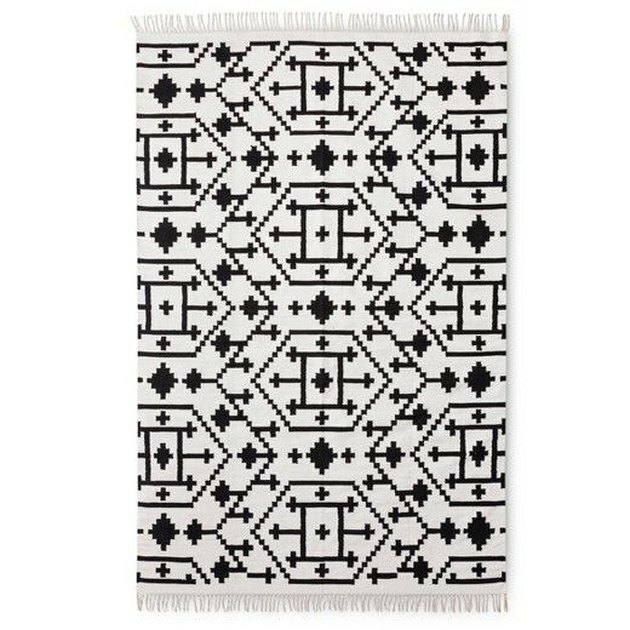 Start with this black-and-white rug from Target ( starting at $110.49 ) to create a solid foundation for your other furnishings. The high contrast pattern is bold enough to catch your attention, but neutral enough to accommodate other pops of color. 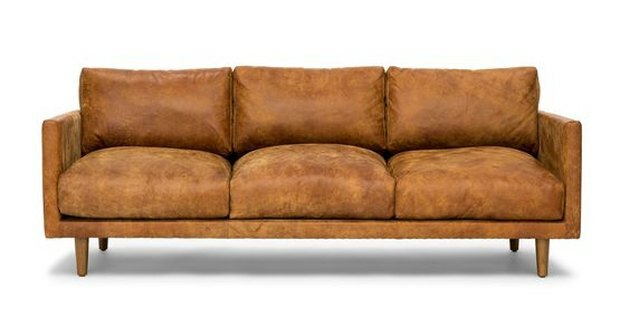 This sofa from Article ( $1,799 ) will easily inject a bit of rustic flair into your design. The distressed leather looks like it's been perfectly worn in over the years, despite being brand new, so it'll complement your style now and still look just as good with your design choices down the road. 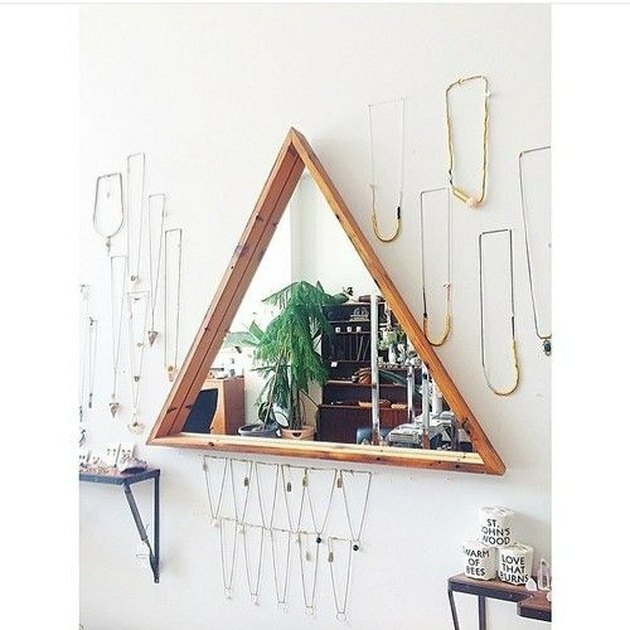 Triangles mimic the shapes of a mountain-filled skyline, and this mirror from from Humbold House ( starting at $150 ) is no exception. It'll help make your space feel bigger by reflecting light, while also adding a natural element with its reclaimed wood frame. This would look great as a statement piece right above the sofa. 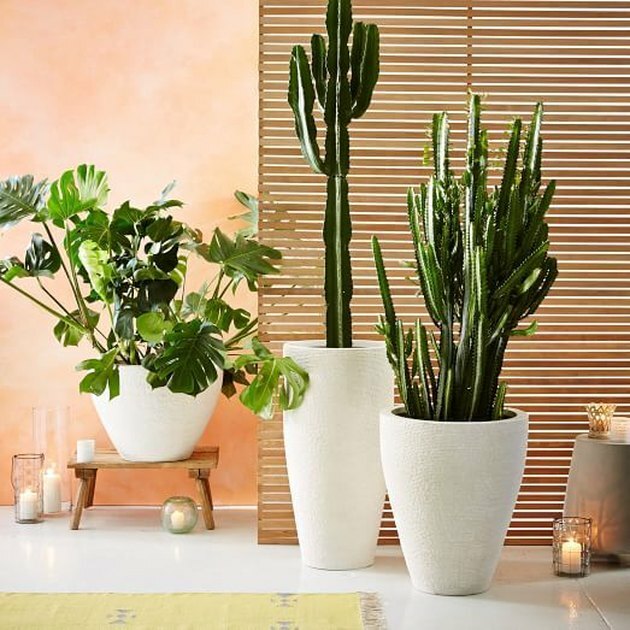 You don't have to fill the room with literal cactuses to convey a modern desert vibe. 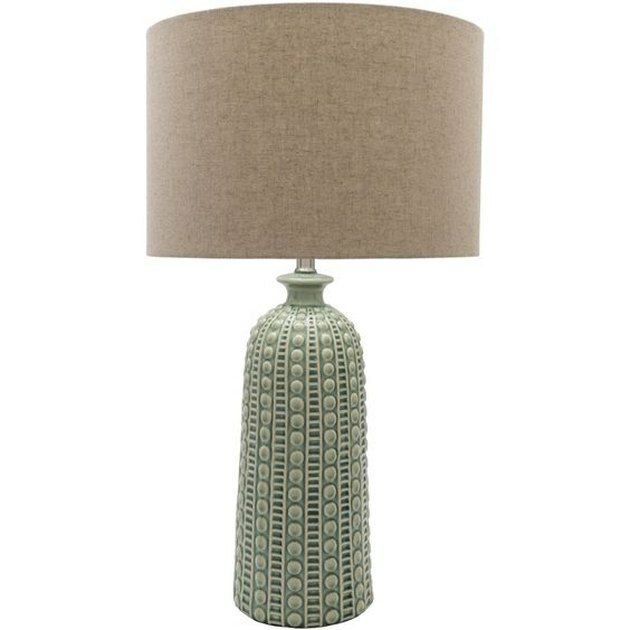 This cabot table lamp from Lulu & Georgia ( $213 ) gives a subtle nod to your favorite plant with its vertical lines, and would look complete next to a scented candle and a small succulent. 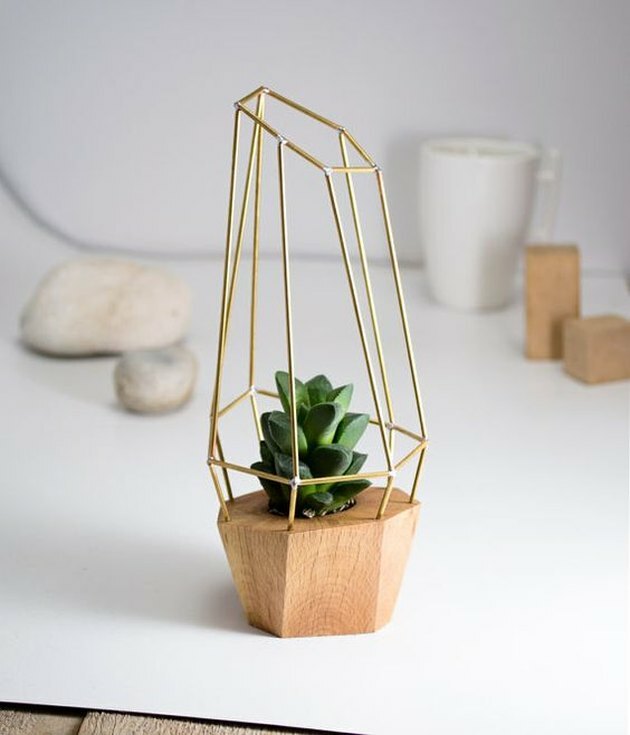 Incorporating touches of gold, like this geometric planter we found on Etsy ( $49 ), will keep your living room looking fresh and modern. Put it on a shelf on top of a small stack of books. 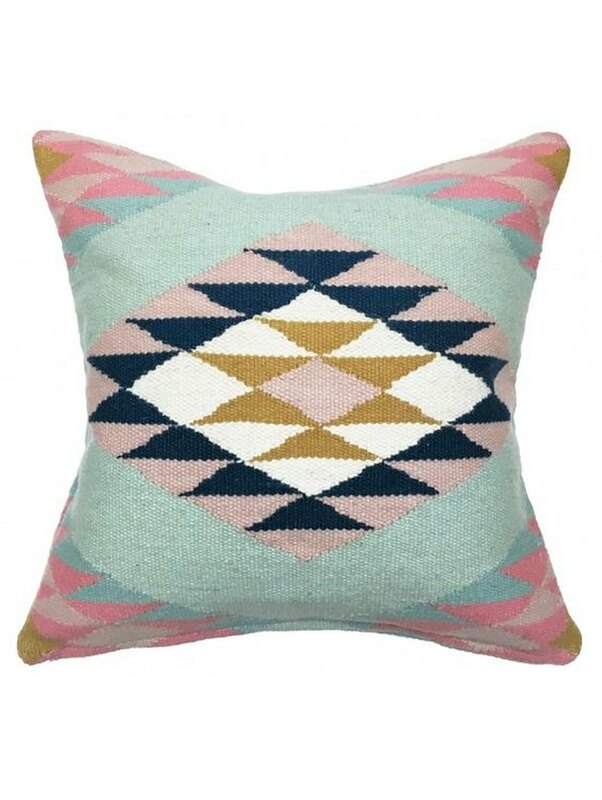 Keep your space from feeling too bland with this colorful elodie pillow from Lulu & Georgia ( $79 ). The pastel pinks and teals in the pillow's pattern are grounded by the neutral navy blue and white, making this a simple way to incorporate color without going overboard. Southwestern walls are usually white, but that doesn't mean that you can't hang a print to bring in some color! 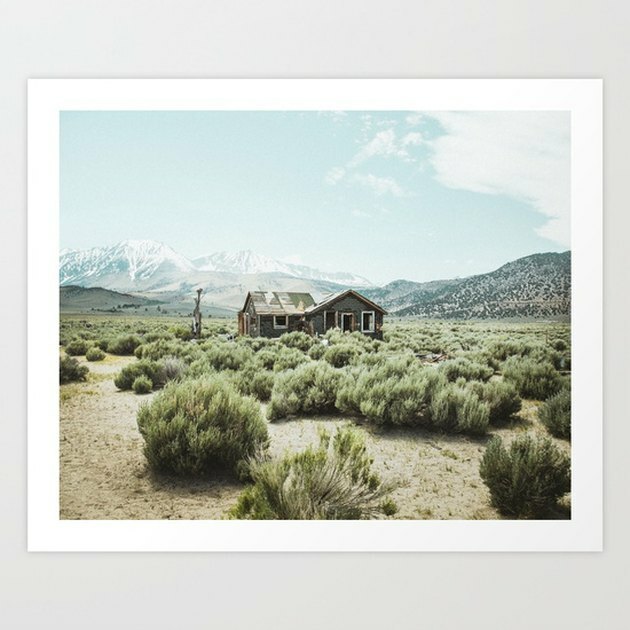 Try this one from Society 6 ( $17 ), which showcases a verdant desert and an intriguing abandoned home. A cow skull is a quintessential element when you're trying to achieve a southwestern-inspired style. 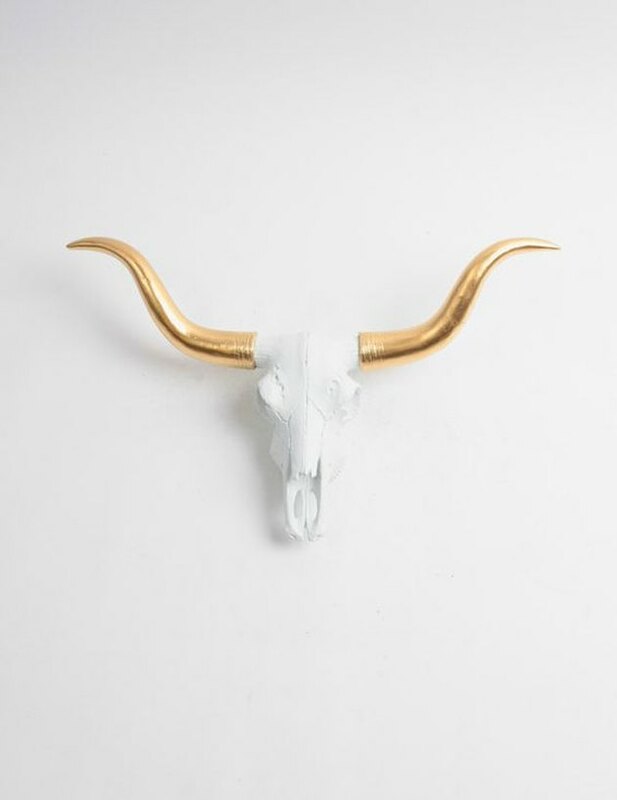 This faux cow skull from Etsy ( $49.99 ) features two stunning gold horns that will elevate your design's theme. Hang it above a doorway or incorporate it into your gallery wall. 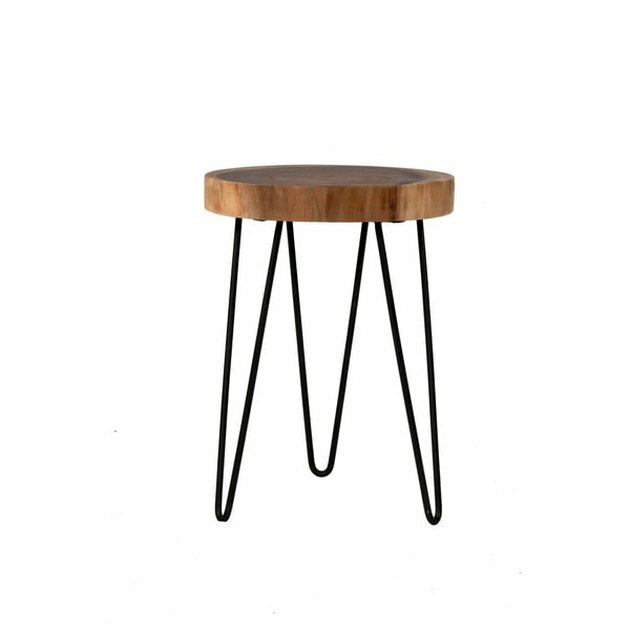 This side table by Overstock ( $112.49 ) is the perfect fit for your laid-back look, given that the sliced wood top and hairpin legs are effortlessly stylish. 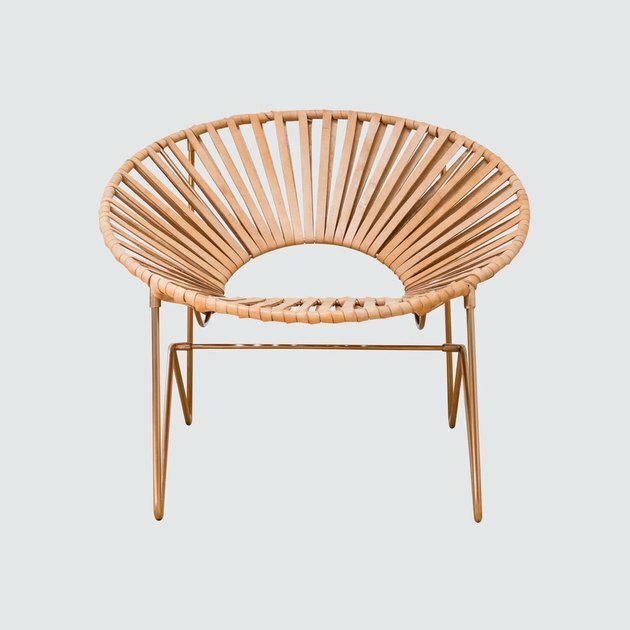 Pair this with a side chair for a casual corner. Grab a few of these rigid stone planters from West Elm ( $199 ) to house your choice of prickly plants. They're drought-tolerant, which means that your picks of cactuses and succulents don't have to be watered too frequently. 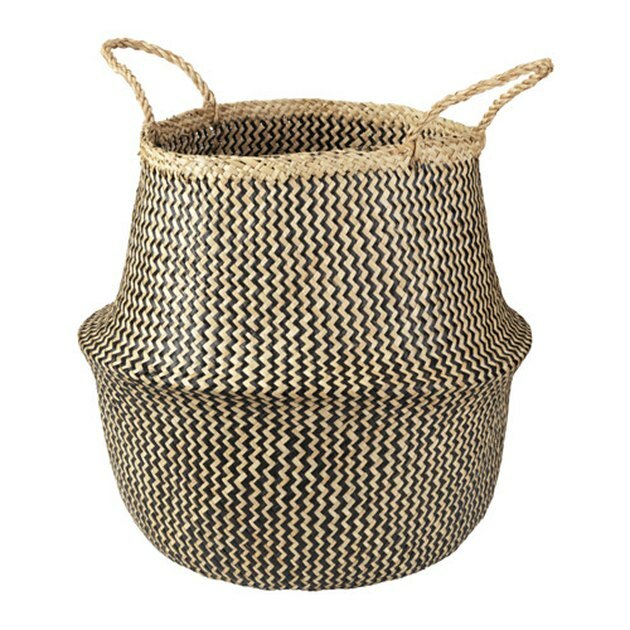 The simple woven design and neutral coloring of this fladis basket from Ikea ( $19.99 ) makes this one piece you'll be able to style in a variety of ways over time. Place it next to your sofa for extra throw blankets now, and then use it as a planter later. From the handwoven, camel-colored leather seat to the sharp angles of the copper base, this chair from the Citizenry ( $875 ) will instantly become a focal point in your living room. Add a small throw pillow or blanket and say hello to your new favorite seat in the house. 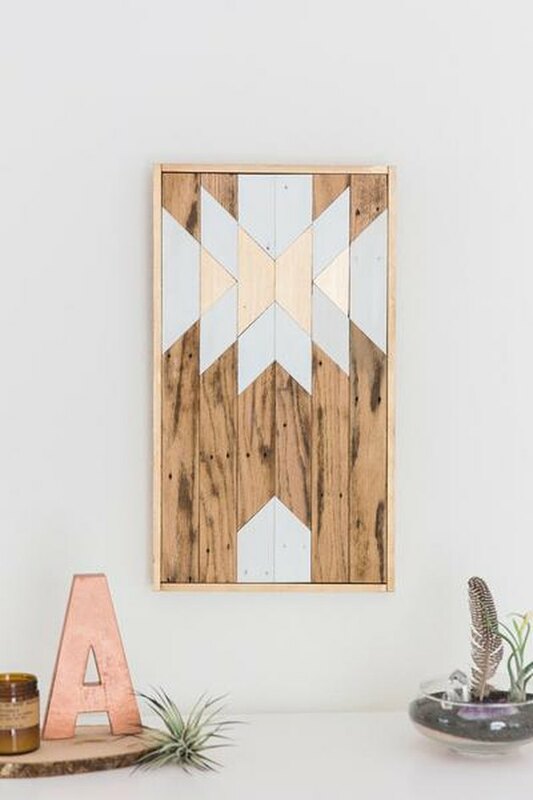 The mix of the exposed wood, southwestern-inspired patterns, and luxe gold accents in this wall art by Adrift In My Mind ( $290 ) will add depth to your design. It can be hung vertically or horizontally, too, so you'll always be able to find the perfect spot for it. 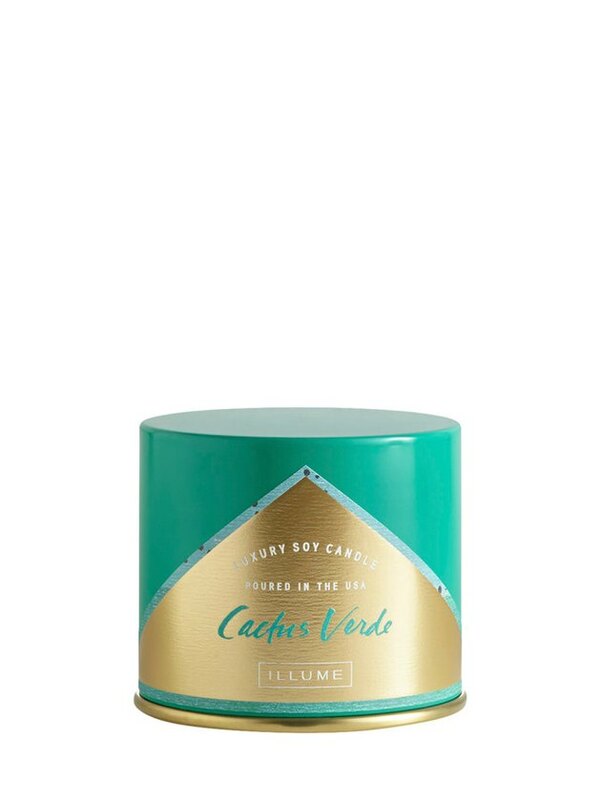 This cactus verde candle from Gilt ( $12 ) will keep your place smelling fresh and look chic doing it, too. Light it at night to make your whole room smell as good as it looks. Stay on-trend by layering multiple area rugs to add both texture and dimension your living room. It's also a great way to cover more square footage without breaking the bank. 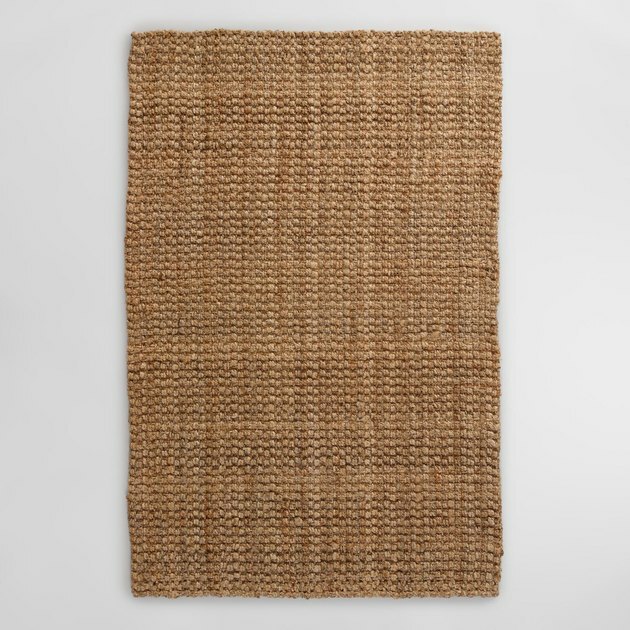 This jute rug from World Market ( starting at $24.99 ) would make a great base layer to showcase a more intricate and expensive kilim rug on top. 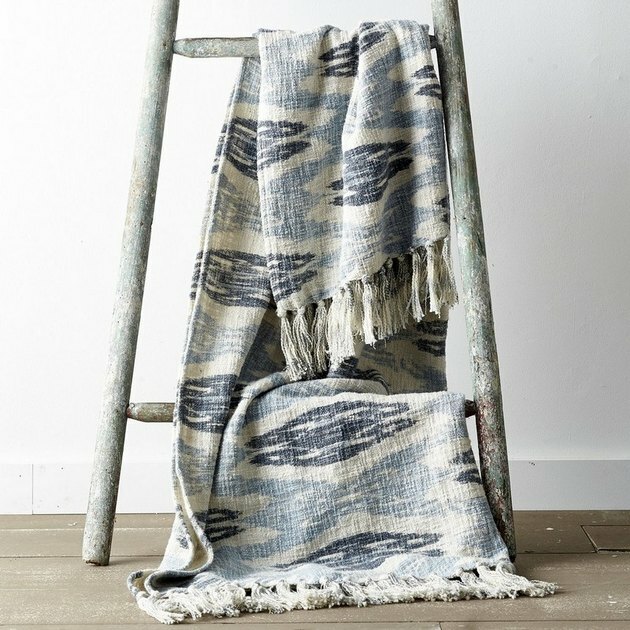 This denim ikat throw from The Company Store ( $59 ) is made from soft cotton and will look good no matter where you put it. Drape it over the edge of a woven basket, the arm of your sofa or the back of a chair — there is no wrong place for this throw.